Despite a shaky start, Nintendo's latest handheld has done very well for itself. How well? According to a Nintendo press release celebrating the machine's upcoming first birthday, the company has sold 4.5 million 3DS units in America so far, a pretty impressive number given that the original DS had only moved 2.3 million units at the same point in its lifespan. 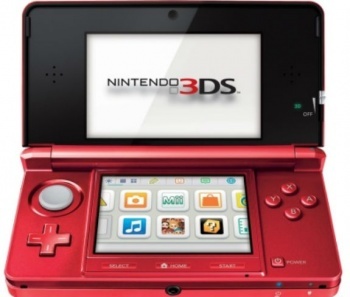 March 27, 2011: Nintendo 3DS ushers in a new era of gaming with glasses-free 3D. Launch-day sales are the strongest in Nintendo's history. Feb. 22, 2012: Dillon's Rolling Western launches for the Nintendo eShop, joining hot titles Pushmo and Freakyforms: Your Creations, Alive! So, y'know, yay for Nintendo. The company isn't in any danger of collapsing and the 3DS won't be going the way of the Wonderswan any time soon. And thus concludes my contractually mandated regurgitation of subtly massaged corporate talking points. You may now resume your inherent wariness of men in dark suits.